Manchester United host Southampton tomorrow in both team’s final match of 2017. We will be desperate to get back to winning ways after back-to-back disappointing 2-2 draws versus Leicester City and Burnley so far over the Christmas period. Jose Mourinho was able to confirm that Romelu Lukaku will start against the Saints despite playing 90 minutes game after game this season. Zlatan Ibrahimovic played the opening 45 minutes for us on Boxing Day but it appears the Swede’s fitness is not at a level to start back-to-back games in the same week. The bad news for us is that we still have seven injuries to deal with. 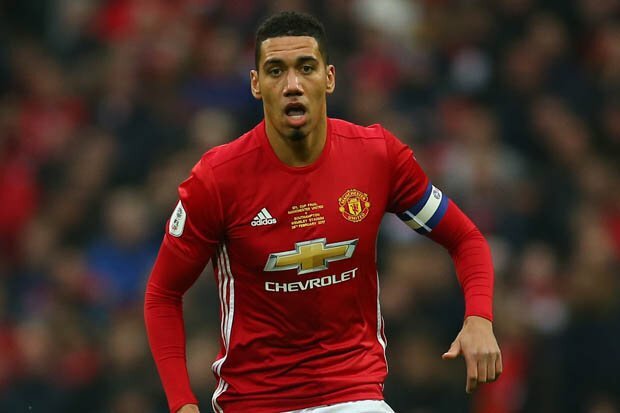 Jose Mourinho told MUTV earlier today that he doesn’t expect either of Antonio Valencia, Chris Smalling, Anthony Martial or Matteo Darmian to return after picking up knocks earlier this month. On top of that, Eric Bailly, Marouane Fellaini and Michael Carrick are all sidelined indefinitely. The back four on Tuesday consisted of Ashley Young, Phil Jones, Marcos Rojo and Luke Shaw. Jose will either stick with these for the visit of Southampton this weekend, or could introduce either or both Victor Lindelof and Daley Blind. Mauricio Pellegrino only has a couple of Southampton absentees to worry about. Full-backs Ryan Bertrand and Cedric Soares are both injured whilst striker Charlie Austin is suspended. The Saints are likely to be without Virgil van Dijk too after agreeing to sell the Dutch international for £75 million to Liverpool in a couple of days’ time. The entire United team need serious overhaul. The earlier Mourinho do away with the average players Van Gaal bought the better for the team. Mourinho’s recent comments are indeed worrying and lacking in merit. The United team at the beginning of the season, shoulder to shoulder, man for man and player for player could match that of City. The problem is simple: Mou has failed to develop the players at his disposal the way Pep has done. Martial for example, is a wonderfully talented player who has not been given the much-needed confidence to grow while in recent games, the team has equally slowed down the number of chances created for Lukaku to score. Mou should rather focus on giving his team more confidence to play while encouraging them to have self-belief. Ability wise, United is a very, very good team! Jose’s style is simply boring.